In today’s blog post, I interview Saideep Talari, a PyImageSearch Gurus graduate who was recently hired as a computer vision engineer at a startup in India. Saideep’s story holds a special place in my heart as it’s so incredibly sincere, genuine, and heartfelt. You see, Saideep comes from a very low income Indian family. They did not have much money. In fact, online education (such as the PyImageSearch Gurus course, Udacity, etc.) was considered a “luxury”. But that didn’t stop Saideep — he took it upon himself to study computer vision, not only because he felt it to be his passion and calling, but because he wanted to help his family. In fact, Saideep felt so strongly about studying computer vision that he took out an educational loan from his personal bank to help supplement the cost of the PyImageSearch Gurus course. Saideep joined PyImageSearch Gurus in August 2016 and then graduated in February 2017. I was consistently impressed with his dedication, work ethic, and commitment to mastering computer vision. Back in April I received an email from Saideep expressing his happiness — he recently acquired a job at a computer vision startup in India working with drone-based AI solutions. During the interview process, the company gave Saideep a computer vision assignment to complete. His solution was so impressive that they immediately hired him and brought him on board as a computer vision engineer. Holds a very well paying job. Can take care of his family and support them. Has cleared all of his/his families’ debts. Is currently doing what he loves — working with computer vision. Even more impressive, he has transformed from computer vision student to computer vision engineer in just barely over six months. This is truthfully one of the most heartwarming computer vision success stories I have heard and I am so incredibly proud of Saideep and his accomplishments. Join me in this interview and discover how Saideep transformed his life (and the life of his family) by studying computer vision. Note: English is not Saideep’s first language, so he kindly asked me to edit his grammar and spelling to help make the responses more readable. I have done very little editing (as his English is quite understandable) and preserved as much as his original wording as possible. Thank you again for doing this interview Saideep! Adrian: Hi Saideep! Thank you for agreeing to do this interview. It’s been my pleasure to get to know you through the PyImageSearch.com blog and the PyImageSearch Gurus course. Saideep: Hello Adrian! It’s my pleasure to get interviewed by a great computer vision researcher like you! Adrian: Can you tell us how you first became interested in computer vision? Saideep: It’s a very long story, but to keep it simple, I first started learning security analysis which involves penetration testing for networks and web applications, but later I found my interest through data analysis and machine learning. The project that drove me to computer vision is when I’m tried to create a bot for cracking CAPTCHA images. 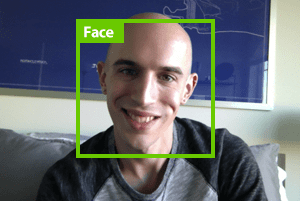 Breaking CAPTCHAs involves lots of image processing and machine learning under the hood, so that’s how I started my journey to computer vision from my interest through security analysis. 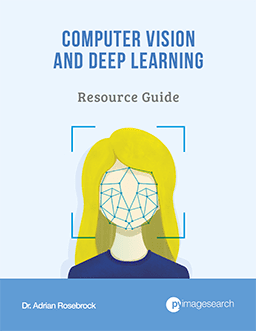 I tried browsing the web for resources to get myself trained in computer vision, but the resources are few and I found that many are not very explanatory. Fortunately, I found your [PyImageSearch] blog on Google search, and have read the content you posted. Your blog really drove me and boosted my interest towards learning computer vision since now I have a platform to search for computer vision problems. Adrian: You mentioned over email that you were recently hired as a computer vision engineer for a startup in India. Can you tell us about this job and what the interview process was like? Saideep: Yeah! First, thanks a lot! If I have not taken the PyImageSearch Gurus course I would have not got this job. And yes, it’s an early stage startup based in India, we deal with aerial intelligence through drones. It helps agriculture, mining, solar plants, etc., to solve their problems using drones by powering them with artificial intelligence and computer vision. I applied for the role of Computer Vision Engineer like others. I was given a task which deals with crop row detection and patch identification. 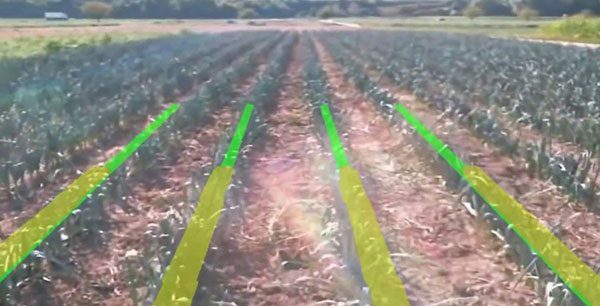 Figure 1: An example of detecting rows of crops in an image (source). It took me 15 minutes to understand the actual problem. My initial plan was to apply machine learning, but I found that it can be done with image processing techniques. I tried my approach and I got the promising results. Not every image in the dataset is under the same lighting conditions, but I remember your PyImageSearch Gurus lecture on dealing with varying lighting conditions and different color channels. I inverted the problem. Instead of detecting the empty rows, I instead detected the actual rows that contains trees and other things, and after some morphological operations finally I got the most promising solution. Later I was interviewed for image segmentation using deep learning, RCNNs and other optimization methods. I did well. Adrian: When you first emailed me about joining the PyImageSearch Gurus course, I know one of your primary concerns was price. Do you think the course was worth the cost? Saideep: Yes! Initially I felt the price was very high. But after my first week in the course, I believe that even $95 is very cheap as the content you delivered is invaluable. You not only wrote lessons, but you wrote your experiences which can not be balanced by any sum of currency. To be frank, the course is worth more than what you charge. I felt this because no person can find an end-to-end exhaustive course from scratch like this on earth. Adrian: Would you recommend the PyImageSearch Gurus course to other students and developers who are trying to learn computer vision (and obtain a job)? Saideep: Sure, definitely. I’ve recommended PyImageSearch Gurus to some of my friends. It’s very good to start with the course as it covers a wide range of real life problems. Also students do not have to worry about “practicing” because you structured [the course] in a way which pushes the person to get as much hands-on experience as possible. Not only that, the course include access to awesome community [forum] threads where we can find people who can help with our problems regarding computer vision. PyImageSearch Gurus is definitely a big “yes” for obtaining a job in computer vision if one is very much passionate, as this field is very complex. You [and the PyImageSearch Gurus course] have broken down complex things to be simple which are very clear to understand. Adrian: Is there anything else you would like to share? 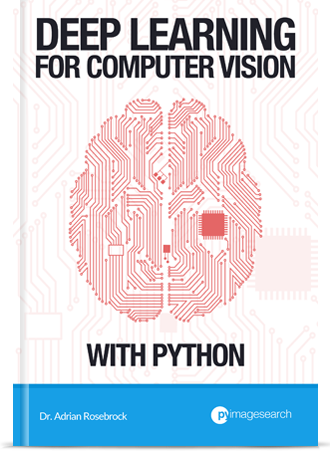 Saideep: I’m eagerly waiting your Deep Learning for Computer Vision with Python book release. I’m planning to buy the ImageNet Bundle. You really put all your experiences in creating awesome content. Adrian: If a PyImageSearch reader wants to chat, where is the best place to connect with you? Saideep: Please connect with me on LinkedIn or GitHub. PyImageSearch Gurus worked for Saideep — what about you? 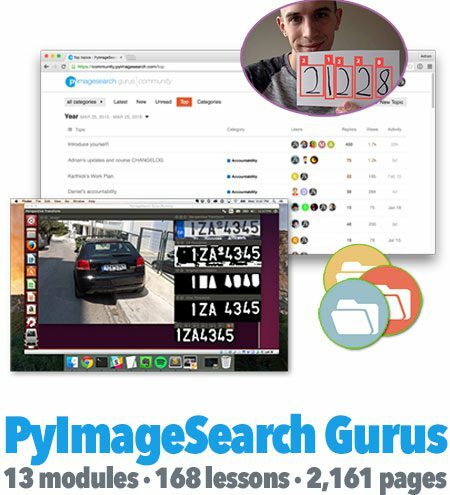 Then be sure to signup for the PyImageSearch Gurus course. PyImageSearch Gurus is the most comprehensive computer vision education online today, covering 13 modules broken out into 168 lessons, with other 2,161 pages of content. You won’t find a more detailed computer vision course anywhere else online, I guarantee it. I’ll see you inside the course! In today’s post blog, I interviewed Saideep Talari, a PyImageSearch Gurus course graduate who recently obtained a job working as a computer vision engineer at a startup in India. Through this job Saideep is now able to provide for his family and take care of them. This is truthfully one of the most amazing, heartfelt computer vision success stories I have heard and I am very proud of Saideep and his accomplishments. Please join me and congratulate him in the comments section of this blog post. And if you would like to learn more about the PyImageSearch Gurus course (and follow in Saideep’s footsteps), just click here. Congratulations Saideep. Your story is really inspiring. I wish you mor much success. Amazing Saideep, despite so many inherent hurdles you got what you so rightly deserved ! All the best ! I’m just curious…I know basics of python, would this be any good for me ? Please let me know. Congrats again Saideep ! Hi Karan — if you know the basics of Python, then you have all the necessary requirements to take the PyImageSearch Gurus course. The first module in the course covers the basics of image processing and OpenCV, so even if this is your first time working with computer vision, you’ll be able to master the fundamentals quickly. From there the course covers more advanced topics, including Automatic License Plate Recognition (ANPR), face recognition, deep learning fundamentals, and much more. If you haven’t yet, head over to the PyImageSearch Gurus page and grab the course syllabus and sample lessons. Awesome story and awesome blog. Wow! Big Congrats to Saideep. So happy for you and your testimonial is very inspiring to us. Thanks to the PyImageSearch Team for their tireless and generous efforts to help us with Computer Vision. Wow, congrats Saideep on your success! Adrian you are doing a great thing, I wish you the best in continuing to provide accessible education and inspiration to students world-wide! Congrats. This is really inspiring. Great! Great job Saideep! Thanks Adrian for sharing and to the PyImageSearch community. Congrats, Saideep! Congrats Adrian, you definitely deserve kudos for these kind of stories! Thank you Murat, it’s a pleasure and an honor to share stories like this. Congrats Saideep. People with go- getter attitude will always overcome hurdles in life and triumph. This is really an inspiring story. Like always Adrian, as a computer vision evangelist and Guru, you are giving back to the community in a BIG way.Thank you. Thanks Abkul 🙂 Without PyImageSearch readers like you and Saideep, this blog wouldn’t be possible. Great read. Congrats Saideep. Wish you more success. Thanks for a great post, Adrian. I am an entrepreneur. Besides real estate business, I run a startup at San Francisco/Silicon Valley, USA. One of my business project is to use FPGA, Spark, Intel BigDL (Intel Hardware Deep Learning), YOLO and OpenCV at battery-limited drone because of super light weight, much faster speed (single node) and energy saving. I just sent request to connect you at LinkedIn. Hi, Totally happy to hear this, Congratulations both! I am a computer vision student and I am currently working with C++ and OpenCV. I have no idea about python. So is it a problem in choosing your course? Hi Sarath — as long as you have experience programming in C++, you’ll be able to pick up Python quickly. Inside the course I also recommend Python guides to help readers level-up their skills. I wouldn’t let a lack of Python experience stop you, especially if you already use C++ and OpenCV together. You can learn Python as you go, it’s a very easy language to learn. If you have any questions, please let me know. Otherwise, if you would like to join PyImageSearch Gurus, just use this link. Congrats Saideep! I don’t know why, reading this made me so happy. I am definitely going to recommend PyImageSearch to my students. Kudos Adrian! Thanks for sharing that Adrian ! It will be a pleasure to have you inside PyImageSearch Gurus, William! If you have any questions regarding the course, please let me know. Congrate sir. You are my true inspiration. I have been in dilemma right now. Can you share your opinion and suggestion about my complicated case here. I really love programming. I finished my degree in computer engineering recently. I would like to continue master in artificial intelligent. 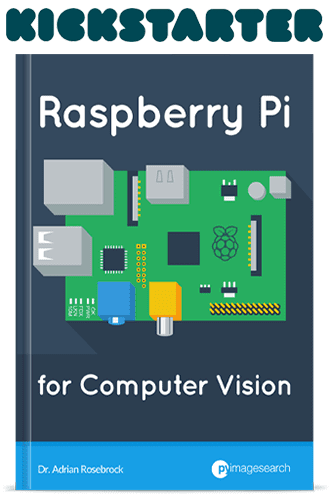 But my supervisor advice me to choose topic “develop high speed camera using raspberry pi for lightning sensor”. I also qualified for working with Infineon company, which i consider as one of a big semiconductor company. My question is, should I proceed the master with my supervisor’s topic or I choose Artifical Intelligent as my topic? Or i should work with Infineon? I really need your advice sir. Just to clarify, when you refer to “master” and “supervisor”, are you talking about a MSc program at a university with your advisor? Or are you working at a job and your supervisor wants you to pick a topic to work on? yes Andrian, I’m talking about a MSc program at one of local university at my country. This is a hard question to answer. In general, I would recommend sticking with your advisor as they will be able to provide you with more guidance on your research (as they likely are experts in that specific domain). This will enable you to finish your research and graduate faster. On the other hand, if you aren’t passionate about your research, it can be hard to motivate yourself to actually do the research in the first place. You might want to consider finding another advisor that more closely aligns with your research interests. Thanks everyone for congratulating me. I’m very much satisfied for your words. Like always, I do remember only one thing, It’s never too late to start anything interesting. And Computer Vision is very interesting and ofcourse challenging which don’t let me sleep unsatisfied. Everyday I fail and learn new things. I am excited for you and your journey Rashmi! 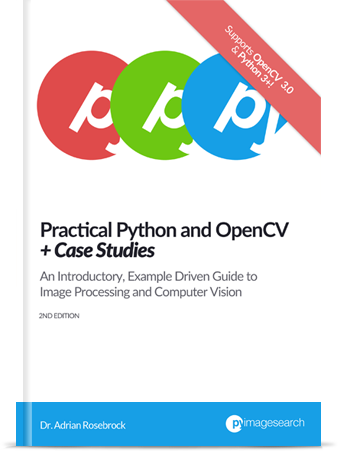 If you need and suggestions for books/courses related to Python or Python + OpenCV, just let me know. Go ahead and go faithfully and hard at work. Many congratulations !!! We have at hand this fantastic tool called “willpower” that pushes us forward. Behind, not even for impulse! We still have the help and knowledge shared by Adrian, so let’s get there !! You managed to get to the end, thrilled us with your story and motivated us to move on, which is not at all easy !! I am new to Machine leaning, recently caught my interest in data science and ML. Recent trends i see many works on CV with TensorFlow of Google, How does your course on CV with OpenCV differs from TensorFlow. If one spends hundreds of dollars learning CV with OpenCV and then switch it using TensorFlow does it all go in waste..? Correct me if i am wrong as i am new to this, just curious to know. In short: No, that knowledge does not go to waste. Machine learning and deep learning (with TensorFlow, Keras, or any other library) is only one tiny facet of computer vision. There are actually many aspects of computer vision or machine learning that do not rely on machine learning! TensorFlow is strictly a machine learning/neural network/computational engine. OpenCV on the other hand allows you to build computer vision applications that do not directly rely on machine learning. It’s great to hear that you’re interested in ML and DL — just keep in mind that even a tiny bit of computer vision can go a long way in these fields. Think of PyImageSearch Gurus as a college course that gives you a “survey” of the computer vision field. You’ll learn a lot of different techniques, some of which are directly applicable to machine learning and deep learning. If you’re interested in just machine learning or deep learning then you should go through Deep Learning for Computer Vision with Python. Hearty Congratulations. Well done and All the best for your future endeavors. Many Congratulations Saideep !!! Wish you the very best !!! Hats off to Adrian for pyimagesearch where I learn and apply so many things about CV, day in and day out ! Some people do incredible things every day and this is a good example! Thanks Adrian for sharing this inspiring story and enabling Computer Vision success for every one. Very happy to Saideep’s success. Congratulation Saideep on your well-deserved achievements. I follow Adrian’s blog closely and believe the offered courses are very good as well. Congratulations Saideep!!! Truely inspiring story. Adrian, as always you are rocking. I wish I had found your blog at least an year back. You make complex things simple. Keep up the great work. The story is very inspiring to me. I’m almost studying computer vision every day throught PyImageSearch, hoping I can become as like Saideep some day. I just started in the pyimagesearch gurus courses. Your success story made me impressed. God bless you! Welcome to the PyImageSearch Gurus course, Hieyong! Enjoy it and let me know if you have any questions on it. Yes, you can still understand computer vision even without a high-level degree in mathematics or computer science. If you have a strong programming ability you can still succeed. Awesome Saideep.. Adrian you rock, you are an awesome guru, impacting people’s life.. !!! Thank you very kind Sriram, thank you. I am absolutely convinced that your courses are an excellent vehicle to learn the whole pallet of computer vision. This blog has really cool stuff for computer vision. It has so far greatly helped me in my fourth year project which deals with image processing (mammograms) from the MNIST dataset. Just got started with the 17-days crush course and I’m preparing to join the Gurus course once i’m done. Thank you for the kind words, Sifa. I’m glad you’re enjoying the crash course. Let me know if you have any questions on the Gurus course as well!